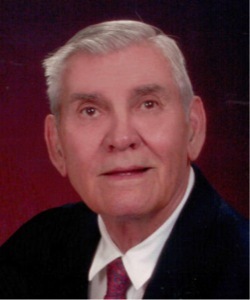 BRIDGEPORT -- Robert L. "Bob" Goode, 80, former owner of Dyna Mud Corporation and Dynamic Drilling, went home to be with our Lord Saturday, June 9, 2007 at Fort Worth. Funeral: 10:30 a.m. Wednesday, June 14, 2007 at the First United Methodist Church in Bridgeport. Burial: East Burial Cemetery. Visitation: 6-8 p.m. Tuesday at Hawkins Funeral Home. The Reverends Mike Miller and Johnny Irish will officiate. Bob was born June 5, 1927 to Jennings and Helen Goode in Roby. He married Sylvia Killingsworth April 8, 1950 in Houston. While playing football at Texas A & M, Bob set several Southwest Conference rushing records and played in 2 college All Star East-West Bowl games. From 1949 to 1955, as a first round draft pick, he played running back for the Washington Redskins NFL football team, as well as playing in 2 Pro Bowl games. As a 32nd degree Mason, Bob was a member of the Bridgeport Masonic Lodge. He was also a member of the Roughneck Club and the First United Methodist Church in Bridgeport. He is survived by his loving wife of 57 years, Sylvia; his son, Robert L. Goode, Jr. and his wife Vicki of Fort Worth; his daughter, Susie Monzingo and her husband Marc of Fort Worth; 2 grandsons, Bobby and Danny Goode; his aunt, Merle Lovett of Rotan and a host of friends.